Manabush Fire Water No 2 e-Liquid | Electronic Cigarette Co.
Fire Water No. Two e-liquid from Manabush is a blend of premium cigar tobacco flavours tempered with the smoothest straight Southern Bourbon, and a playful twist of a sweet classic cola mixer and a slice of fresh Persian lime. So, yes, this flavour is a unique blend of tobacco, Bourbon, cola and lime, which might sound weird, but remember this has been formulated by the very talented Martyn at Manabush. There are two more juices in this range, both of which are based on premium cigar tobacco and bourbon flavours. 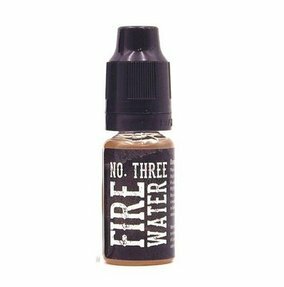 This is a 50% VG e-liquid blend designed for standard coils with a resistance of 1.0Ω through to 1.8Ω, as a guide. The Ω is often written on the heating coil inside your tank if you're not sure. Some 50% VG blends also work well with sub-Ohm coils but it's trial an error and will depend on your coil. This juice blend will usually provide a medium amount of vapour but less flavour if you're not able to vary the power output on your device, so if you have a 1.8Ω coil in your tank (for example), you may want to consider a 70PG which will usually provide more flavour but less vapour. See our page e-liquid blends if you want to learn more about thicknesses and PG / VG ratios. This will also explain about the nicotine strengths, vapour production and throat hit. Manabush will tell you their juices generally taste best with a cotton or silica wick (that's the stuff inside the coil) at not too high a temperature - to them the sweet spot seems to be just on the cusp of being warm. The flavour changes quite dramatically at different temperatures so feel free to experiment. 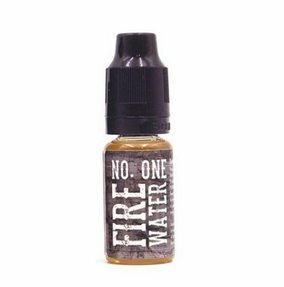 They don't recommend Sub-Ohming this range but it's down to personal preference, and many people do like it on sub-Ohm devices. For smaller orders we send the bottles without their respective multi-pack boxes.